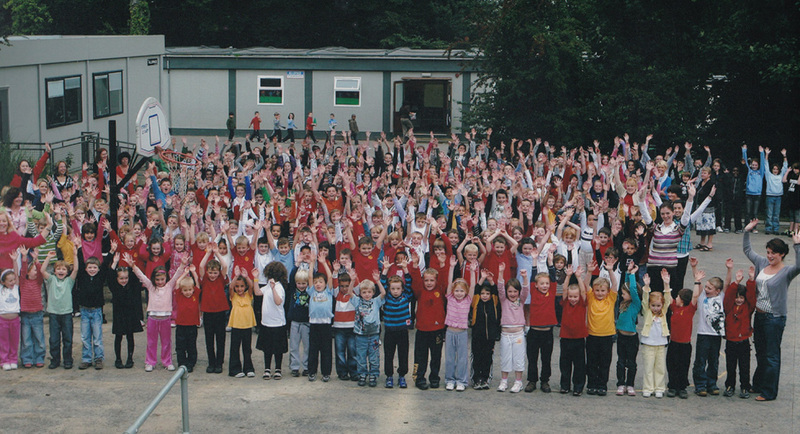 Every student, every parent and every staff member is part of our story. 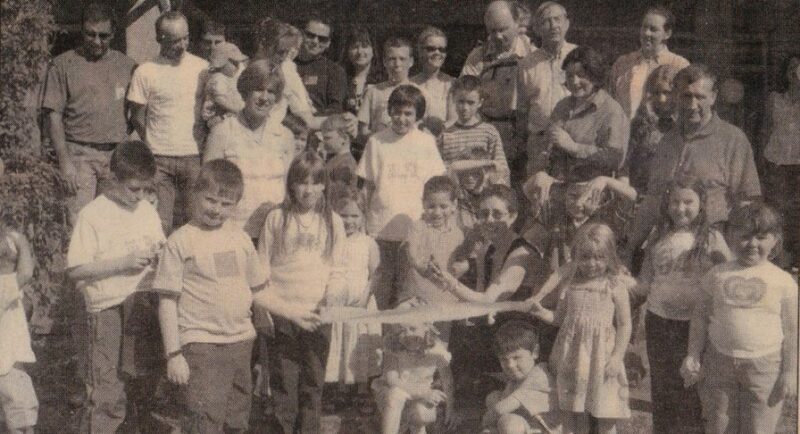 Our story began in January 2001 when local mother Jacinta Cassidy launched the initiative for an Educate Together primary school in the Drogheda East Meath area. 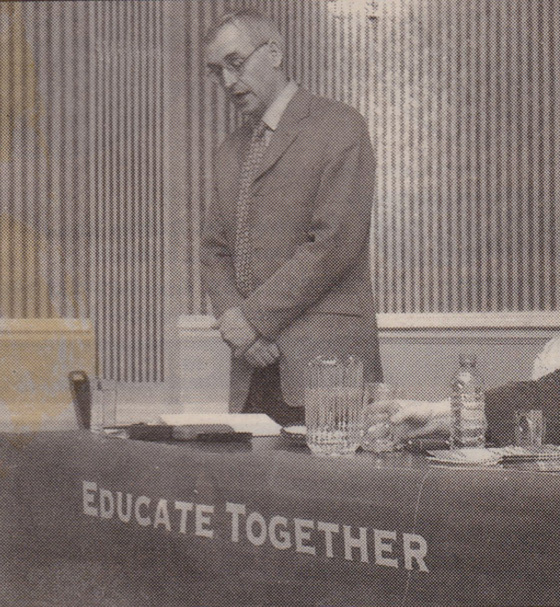 The location of premises at the Drogheda Grammar School was significant in the success of this initiative and the support of principal, Richard Schmidt (pictured) and the Board of the Grammar School has and continues to be much appreciated. 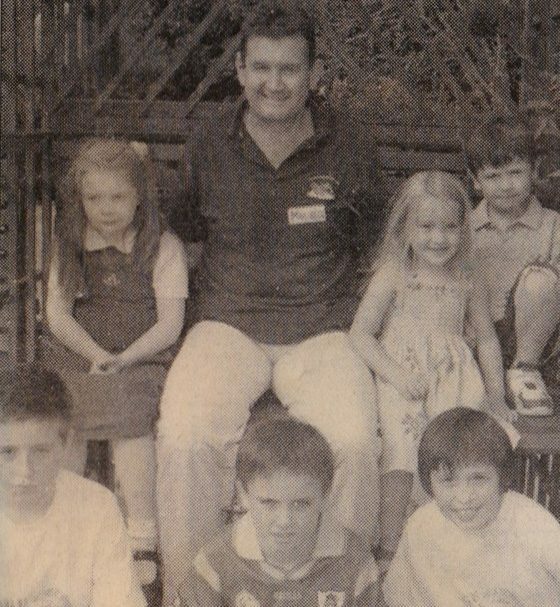 Our school was born over 15 years ago, out of the desire for choice of school ethos in the area. 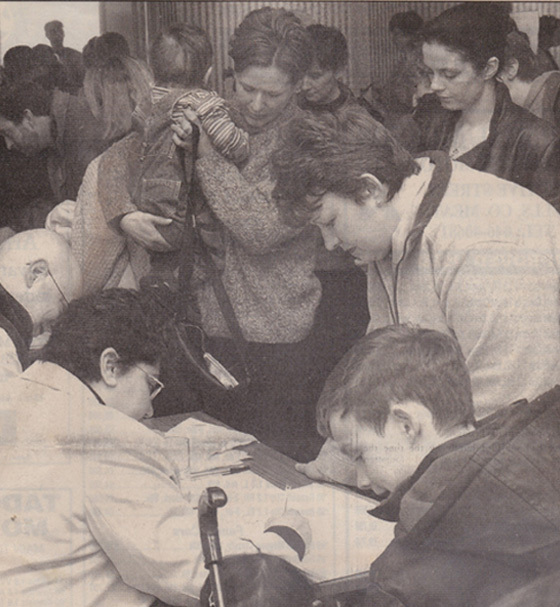 Some 200 people from the area attended the first public launch meeting on January 13th 2001 in the Europa Hotel in Drogheda resulting in over 120 children pre-enrolled for September of the same year. 120 children pre-enrolled for September. March 2nd First fundraising event held in the Europa Hotel, Drogheda. July 14th Deadline set for new Principal applications. July 15th Fundraising Craft Fair & Art competition at Drogheda Grammar School. July 22nd Family Beach Day for families of students starting in September. 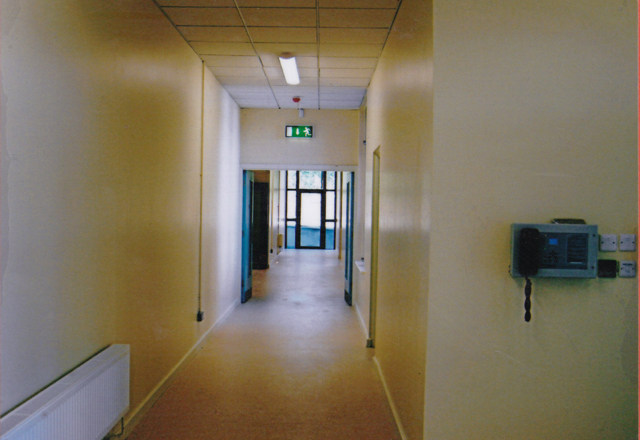 School opens in dormitories on site at the Drogheda Grammar School in September 2001. Cutting the tape at open day. 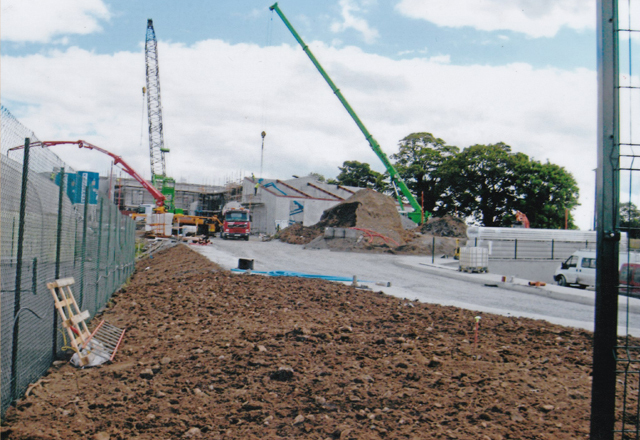 Between 2001 and 2009 enrolments reached in excess of 350 students and the current facilities was unsustainable. 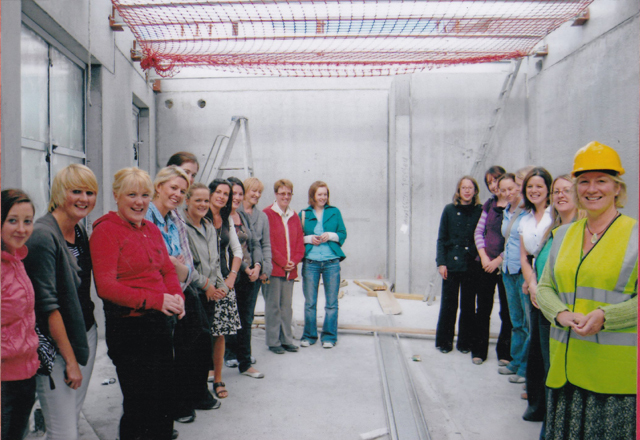 Circumstances were very basic but there was huge enthusiasm and energy to develop this new school. 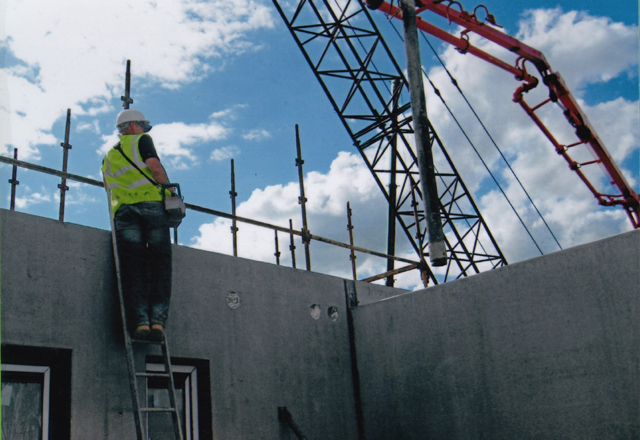 The following year two prefabs were installed a phenomenon that was to continue until we had a total of seventeen and we were under serious pressure for space and comfort. 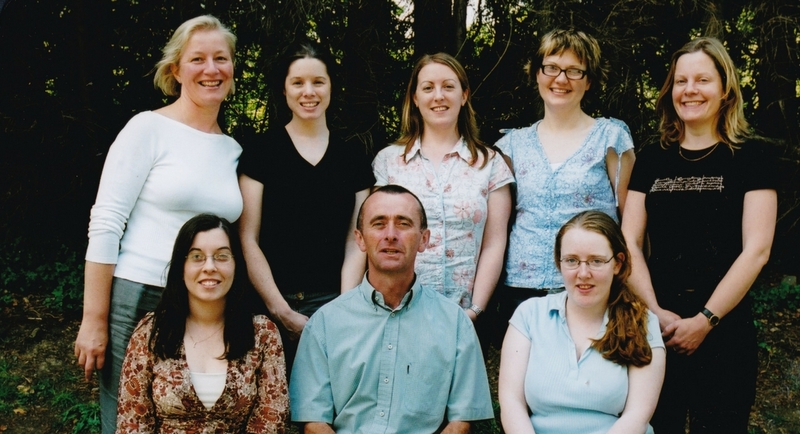 Between 2003 and 2007 during our rapid expansion, the teaching staff grew to 10 permanent staff and 3 part time teachers under Principal Michael Garvey. 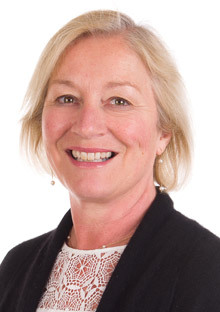 In 2007, Deputy Principal, Fiona Rock was appointed Principal of Le Chéile. 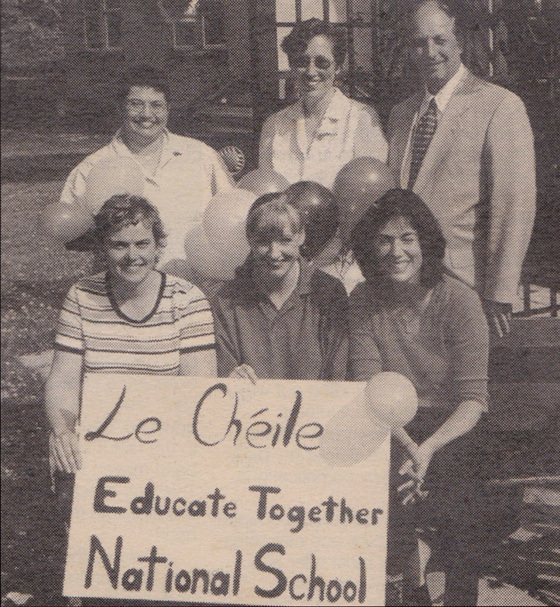 Le Cheile land issue resolved. 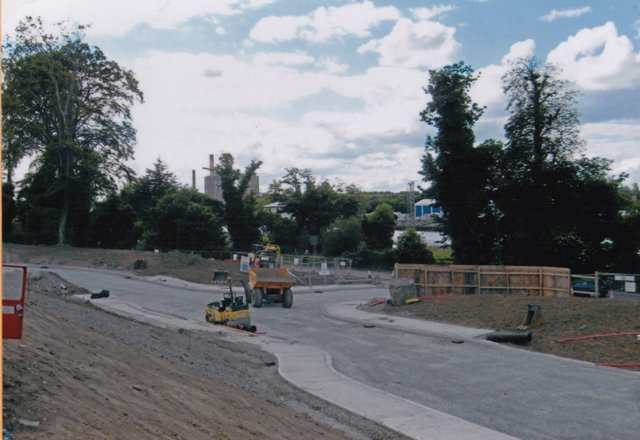 The legal difficulties over the title to the land for Le Cheile’s new 16 classroom school beside the Grammar School are finally resolved. 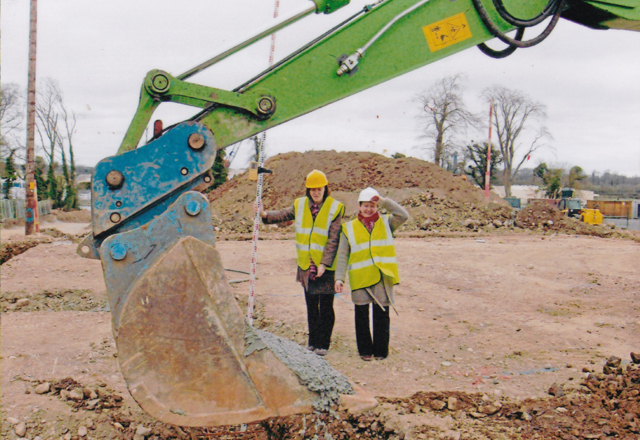 In the years that followed Fiona led the charge in both securing the site and building where the current school sits. Groaning and bubbling under that pressure. 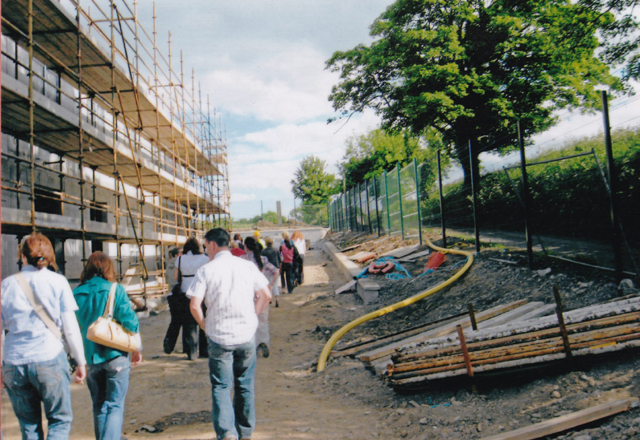 In the autumn of 2008 we finally convinced the then government to build us our new school and quickly! 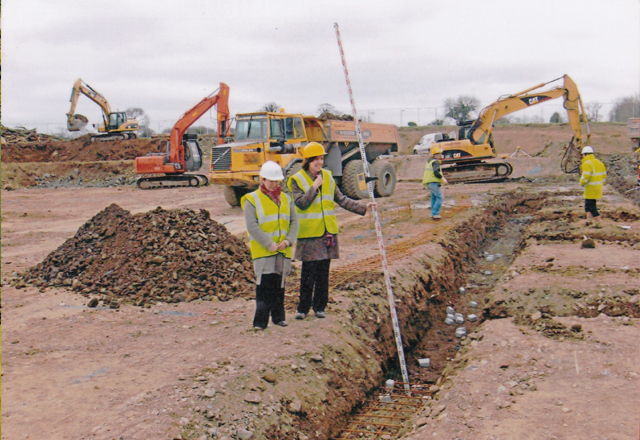 Work started on our new school building. 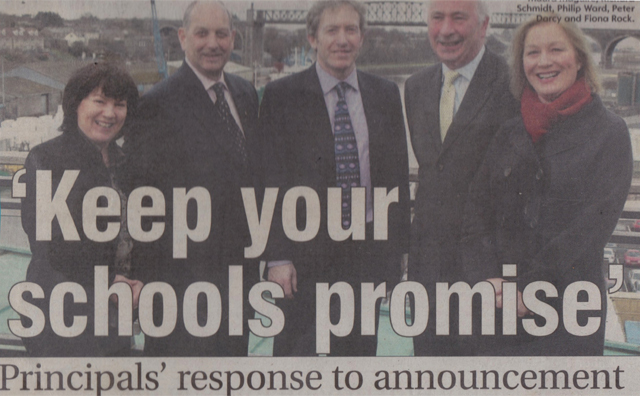 It is only one of a number of schools delivered under the government 2009 Programme. 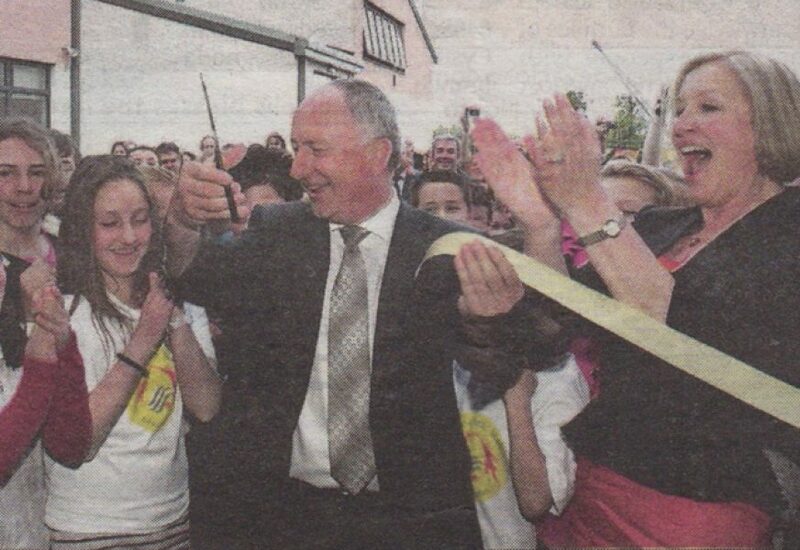 Aug 24th 2009 - Key Handover. 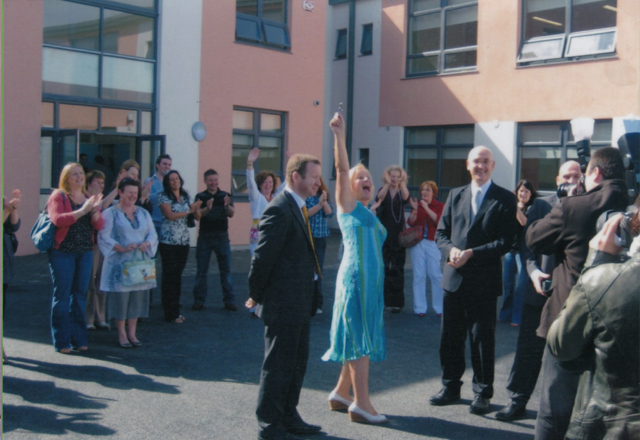 May 2010 Official Opening by Minister. Aerial view of our school building.